Description: The thrilling prequel to the New York Times–bestselling Summoner series! My Thoughts: A stable boy named Arcturus, trying to run away from his unkind masters at an inn, steals a horse and accidentally summons a demon. The demon is a canid that he names Sacharissa. He soon finds himself at Vocun which is a school where young upper class summoners are trained. Until Arcturus, it was believed that summoners had to be the first born of another upper class summoner. Knowing that he is a commoner puts that belief in question. Once he arrives at Vocun, he is not warmly greeted. Many of his fellow students, especially including the lord's son who was supposed to get Sacharissa, hate him and want him to fail. The provost of the school wants him to fail but the king sets him on a quest to find out if there are other commoner summoners around. The Hominum Empire is in a mess. The commoners are on the edge of revolt because the current king is too concerned with building a posh castle to care about them. High taxes cause resentment. The army whose main task is to battle the orcs who are harrying the country's borders is making do with old, outdated arms and armor. The revolutionaries think it would be a wonderful idea to capture the upper class students at the school to use as hostages against their parents' behavior in the revolt. Arcturus and his some of his fellow students manage to get away from the revolutionaries who are trying to capture them but a wild chase begins which leads them into Orc country. The kids do join up with some soldiers who are still loyal to the king but they are vastly outnumbered by orcs and revolutionaries. 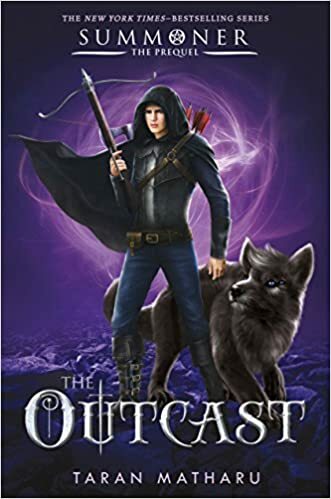 This story was filled with adventure and danger even though Arcturus ended so many chapters unconscious that I worried he'd suffer from brain damage. I liked Arcturus's new relationship with his demon Sacharissa. I liked his growing friendship with some of the upper class kids on the run with him. I thought the world building was interesting and the demons interesting paranormal creatures. I enjoyed most of this book. I hated the last two chapters of this story. It almost felt like someone told the author to wrap it up and it doesn't have to make sense. I felt like everything Arcturus and his new friends went through was just a waste of time except for the body count. "The Wendigo will dispose of the body," Rook snarled. "You're going to make it look like I tried to capture a Wendigo, alone, and it killed me?" Arcturus said with horror.